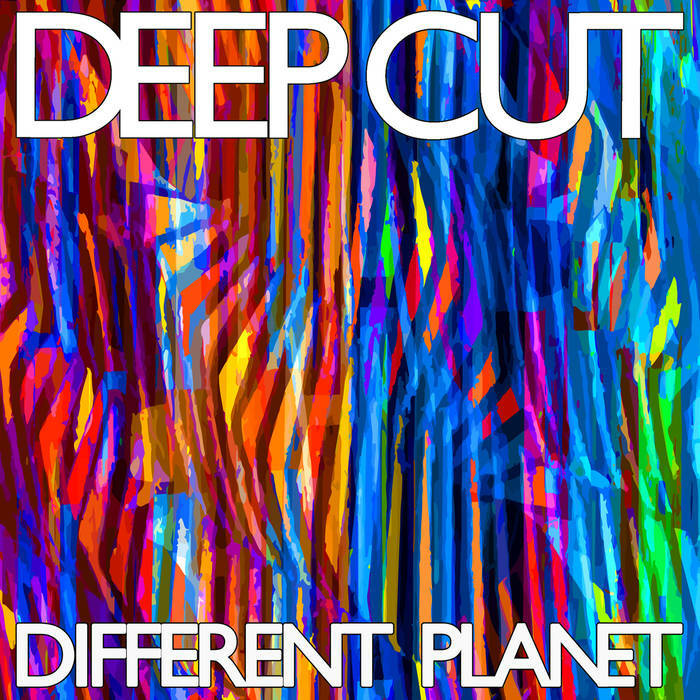 Deep Cut are one of those bands whose fate seems to be influenced by the foreshadowing of their own name. With former members of Death In Vegas and 90’s band Revolver at its core, and a stack of really great songs across two albums, 2009’s My Thoughts Light Fires and 2011’s Disorientation (both on the ever-reliable Club AC30 label), they always seemed on the verge of great things with each of those releases. The prospect of a new album, Different Planet, might raise the same thoughts and lead us to the same conclusions. That, however, would be a big mistake and again the clue is in the name. Whatever the reasons behind the hiatus since their last album, it has been long enough to both whet the appetite of longstanding fans and, it seems, allow some space and time for the band to refresh and regroup. We sometimes forget that musicians live ordinary lives too, navigating all of the inevitable changes that come with growing older, starting families and making ends meet. Deep Cut’s members share close ties that go beyond the band (Mat and Simon Flint are brothers, Emma Bailey and Mat are married). Close relationships and change often pull bands apart, but in Deep Cut’s case, their connections seem to ground them even more, affording them a determination that continues to shine through the music. You can also hear the slightly sinister groove of DIV on parts of Different Planet, for example when the band delves into the hypnotic, esoteric side of krautrock on ‘Alarm Button’ or the breathy, trip-hop vocal counterpoints of ‘Different Planet’. The former veers menacingly along like a psychedelic sidewinder, again providing a different, more mysterious kind of platform for Bailey’s sweeter tones. Redolent of all the things you probably liked about Boo Radleys, Sonic Youth and MBV, ‘Swimming Against The Tide’ is a glorious mash up of some solid ’90s indie inspired riffs and refrains, with layered dream pop vocals and pristine sound staging. Really, the production on this album is worthy of a mention in itself; every instrument is given space and discretion, adding hugely to the listening experience on headphones. ‘Spiralling’ in particular, with its intertwining reverse strings, stingray synth lines and several layers of distorted guitar over some phat beats, could easily have become overwhelmingly rich were it not for some clever knob twiddling and attention to instrumentation. Listen closely to ‘The Last Goodbye’ and you’ll hear the accents of a glockenspiel picking out the keynotes, casting a lovely psych sheen over the soulful Motown-influenced pop. By contrast, ‘Sharp Tongues’ pares everything back to let the vocal harmonies and a clattering battery of drums, including tabla, take the lead for the verse, before taking it up several notches for a chorus that perches on the brink of a sonic precipice. Lyrically, Different Planet is mostly incisive and introspective, making sense of relationship breakdowns and the consequences of being true to yourself. It’s a mild criticism, but Deep Cut’s lyrics sometimes feel flat or undeveloped, and it might leave you wanting more depth. That said, where words channel the mood, then, like the chilling whispered mantra on the run out of ‘Different Planet’, it really hits hard: “Maybe I’m losing my touch, maybe I’m thinking too much / Maybe I’m searching for something that isn’t there”. All in, Different Planet is much more than a return to form for this London foursome. Where some songs here could quite easily have taken advantage of the shoegaze zeitgeist, or served up a sequel, similar to Disorientation, Deep Cut instead took a different path. The result is a joy for existing fans, and a clutch of bangers that might just entice newcomers to check out their past catalogue. Different Planet will be released on 25th January 2019 through Gare Du Nord Records.